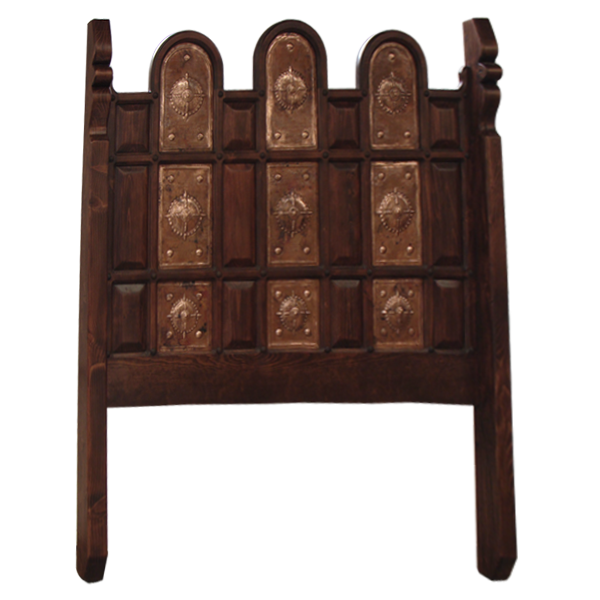 Enhance your Western décor with the remarkable, hand tooled, copper panels adorning this marvelous, handcrafted, Spanish colonial style headboard. The patina on the copper gives the headboard an antique look. The front of the headboard is embellished with rectangular, solid wood, cut panels, and with vertical, geometric shaped, hand hammered and hand tooled copper panels. 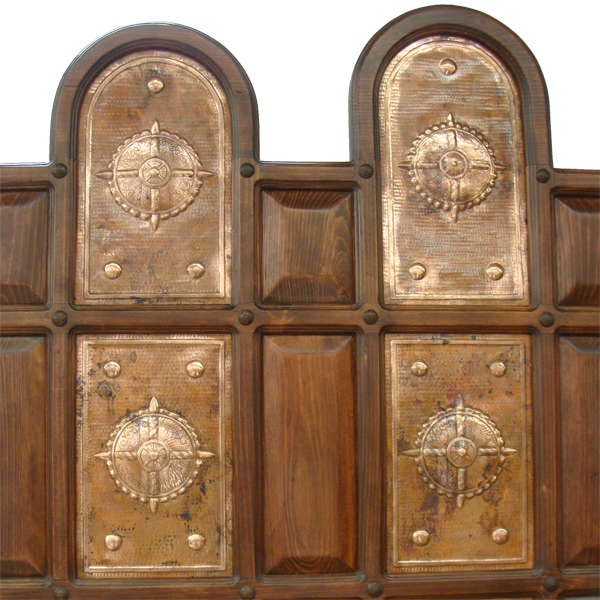 The three, upper, copper panels have an arched design, and each copper panel has a hand tooled, star like design in its center. The headboard is framed with hand carved, scroll uprights, and the headboard has a classic finish. It is made with the best, sustainable, solid wood available, and it is 100% customizable.